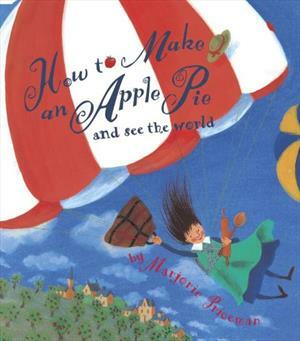 I write books for adults, but I confess, children’s books are my absolute favorite book genre. In fact, one of my favorite things about having a child is I now have an excuse to build a ridiculously large kid’s book library. Books open up new worlds to both kids and adults, spark the imagination and inspire adventure. 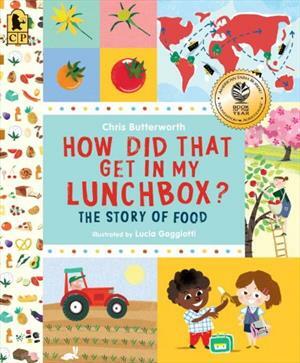 Which is why books are so wonderful for encouraging healthy eating habits in our students and children. 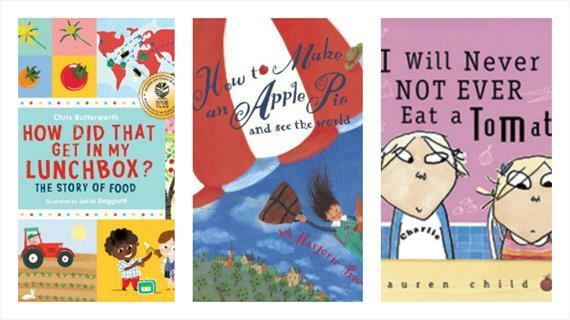 These 11 books for elementary-aged students are funny, entertaining, moving, or just plain silly…but they also get kids to open their minds to a broader, healthier view on food and encourage healthy eating habits. Gregory is a goat who loves fruits, vegetables, eggs and fish, rather than typical goat fair of tires, cans, and t-shirts. 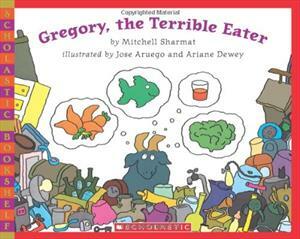 Kids will find it hilarious that Gregory’s parents don’t want him to eat his fruits and veggies and instead want him to eat trash. 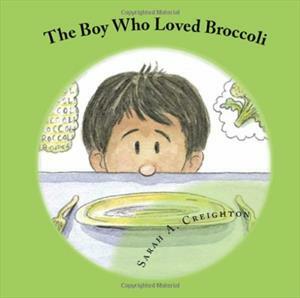 Instead of being told what’s healthy, the kids will be pointing it out themselves in this book of silly role reversals. A witty book on perspective. Lola won’t eat healthy foods until her brother creatively renames them, calling carrots Orange Twiglets from Jupiter, and mashed potatoes Pointy Peaks of Mount Fugi. 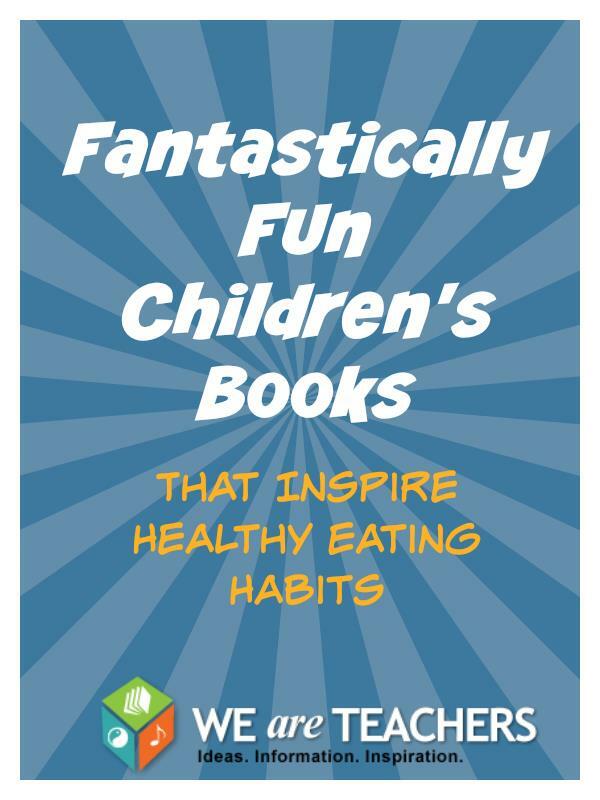 After reading, have your students come up with other creative fun names for commonly disliked foods or write a story about a time they ate something new and were surprised by it’s taste. A part of making heatlhy food choices is understanding where food comes from. This book does that in a colorful fun way. 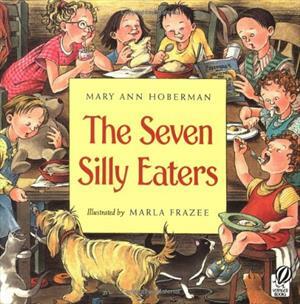 After reading this book, even your pickiest eater students will think meatloaf and mashed potatoes sounds pretty good. 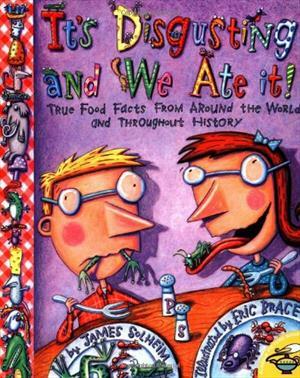 Boys especially will love this wacky book on some of the crazy things people from around the world eat. It’s educational, entertaining, and down right disgusting. Who doesn’t love Food Network Star Tyler Florence? My three-year old thinks he’s a friend of mine after watching a few “Food Truck Race” episodes with me. “Hey Mom, where’s Tyler? 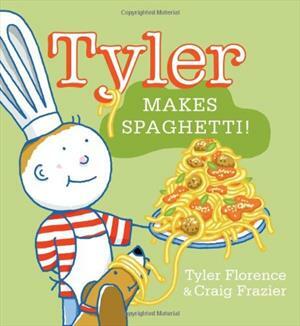 He’s at work?” Anyway, this adorable story by Tyler about a little boy getting to spend the day making fresh pasta, sauce, and meatballs with a local chef, teaches kids about real home cooking….the first step to raising a long-term healthy eater. 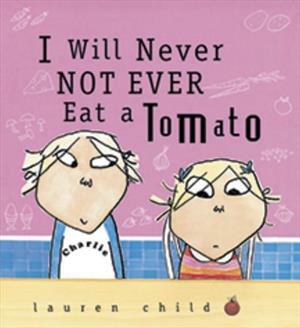 How could I leave out the classic children’s story on overcoming food objections? True story: my son has refused eggs for months. 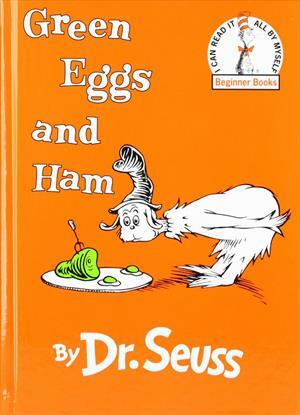 “No, I don’t like eggs” he has insisted over and over, just like the Dr. Seuss tale. (We’ve been vegan for his whole life and just added eggs back in in the last few months, so they are a new food for him.) I picked upGreen Eggs and Ham for him a few weeks ago and last night for dinner, he requested a fried egg and then asked for an encore for breakfast this morning. The power of books! Part of healthy eating is understanding that not every body is the same. Some “healthy” foods can be very harmful to those with allergies or food sensitivities. 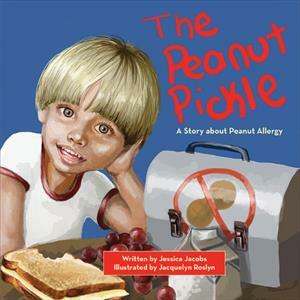 Because so many classrooms are now Nut-Free zones, I included in this list this cute story about a boy with peanut allergies. Told in a playful way, students will understand the severity of allergies while also seeing kids in the class with allergies as normal peers. 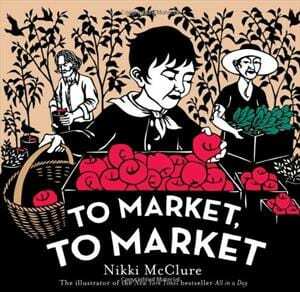 Oh, I love this book! Rachel Randolph is a mom to a busy toddler boy and a wife to an even busier high school football and baseball coach. She is co-author of We Laugh, We Cry, We Cook, a food memoir written with her mom, and their upcoming book Nourished: A Search for Health, Happiness, and a Full Night’s Sleep(Zondervan, January 2015). She also blogs at www.TheNourishedMama.com and www.laughcrycook.com.